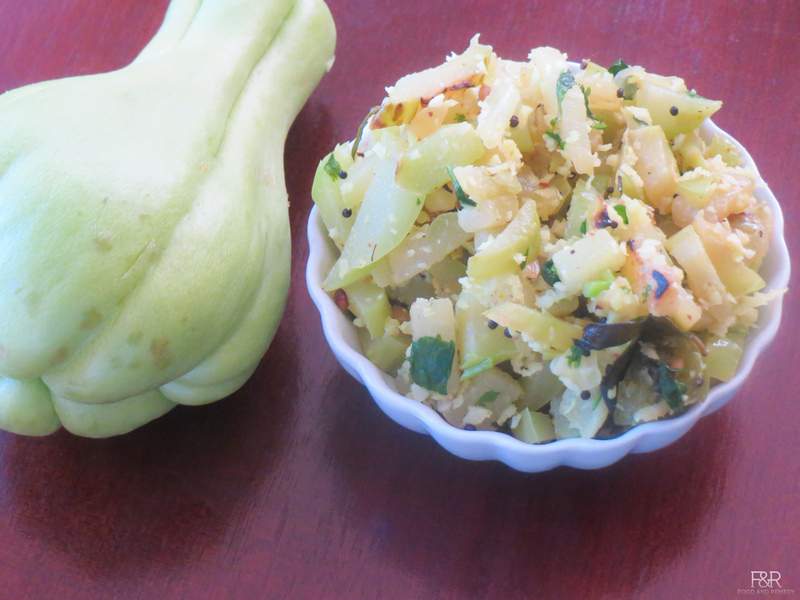 Wash and cut the chayote squash to small pieces. If the skin is tender don't peel the skin. Same is with the seeds. If it is tender use it else discard. 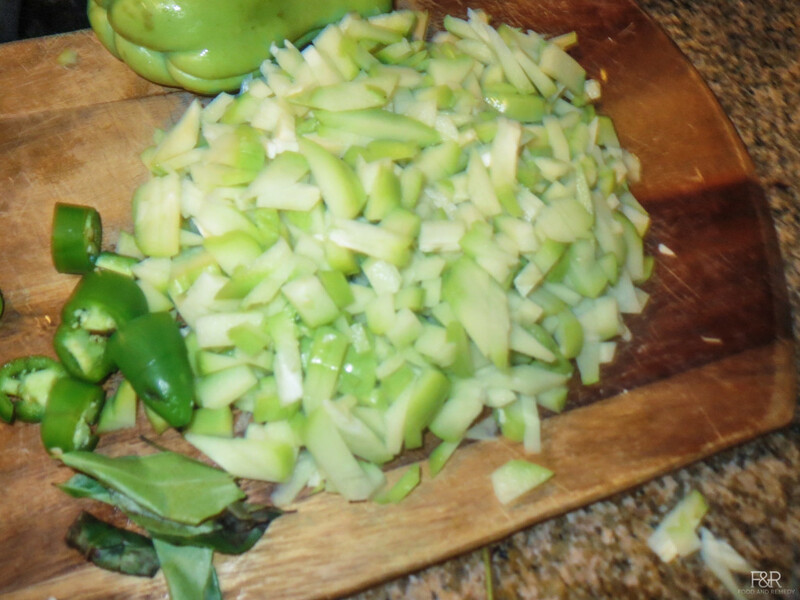 We will get around 3 cups of cut chayote. 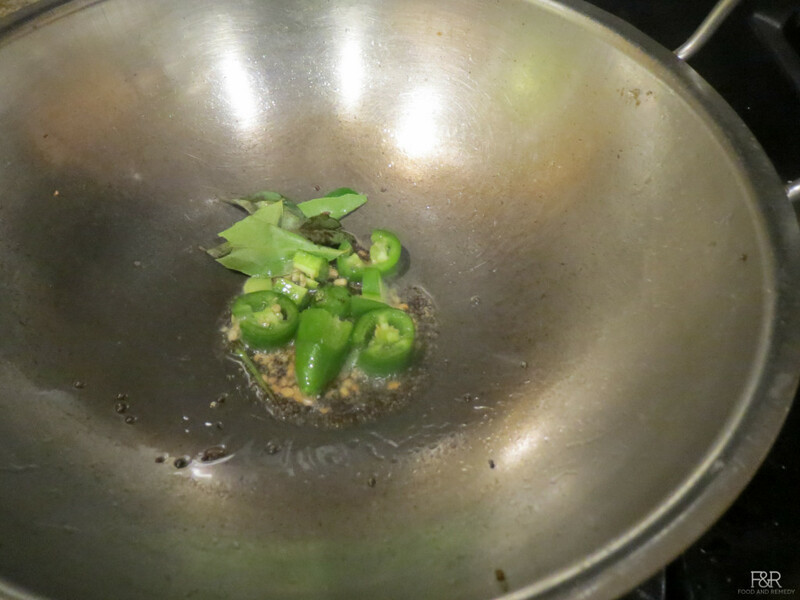 Heat the 2 tsp oil in a pan on medium heat. 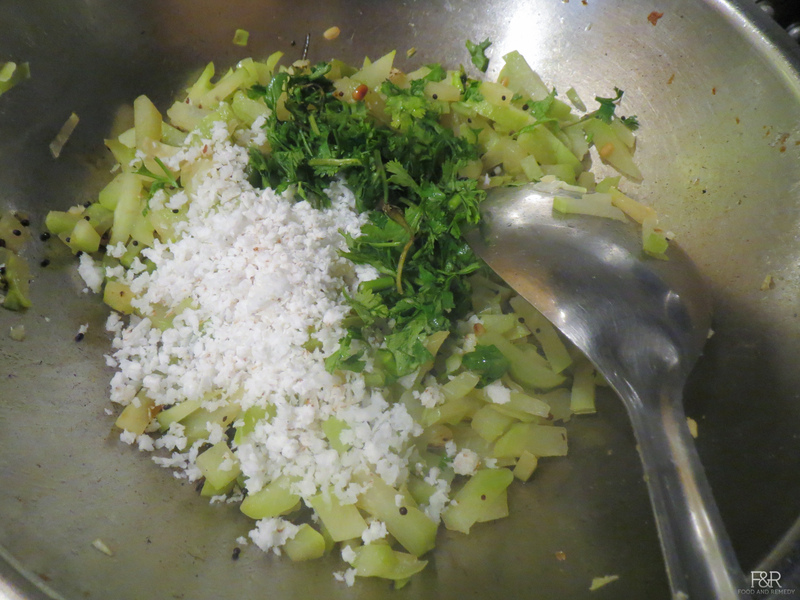 Once the oil is hot enough add mustard seeds, once it pops add hing and urad dal. Fry it until the dal turns golden brown. 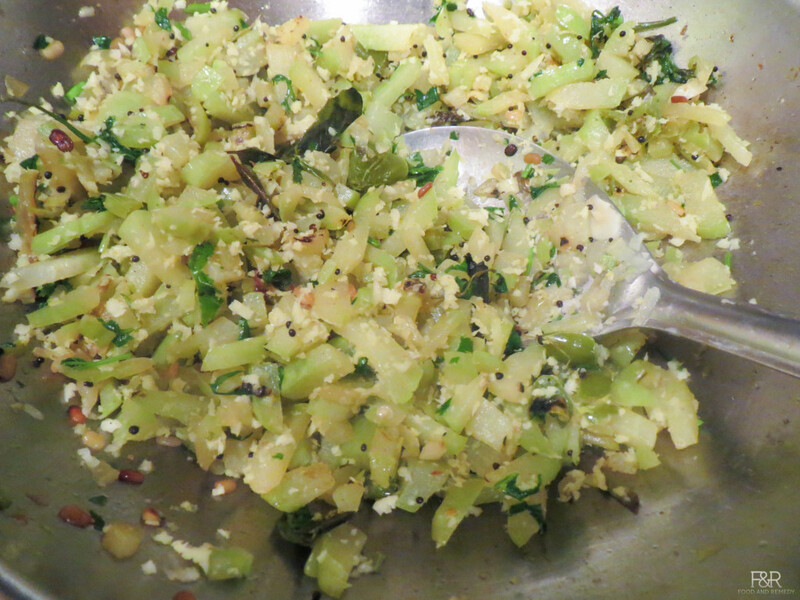 Then add chillies and curry leaves fry it for few seconds. 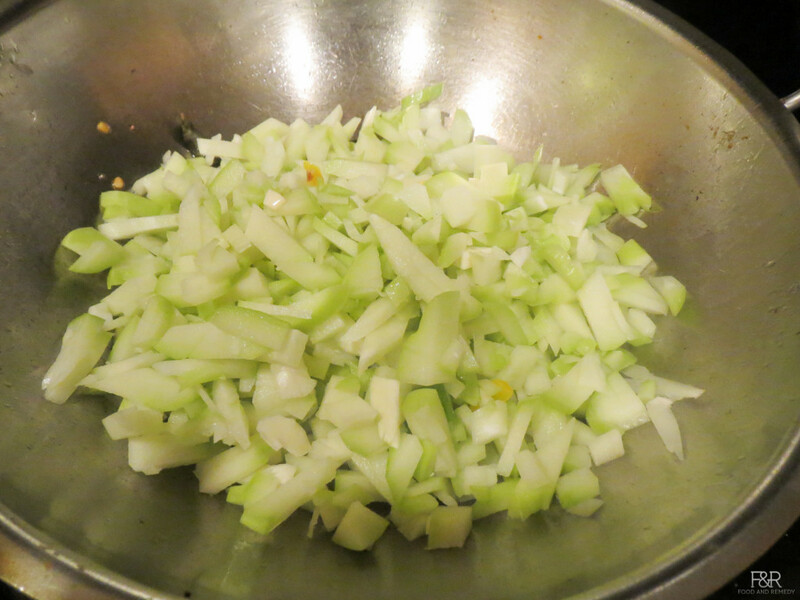 Now add the cut chayote squash, turmeric powder ad salt. 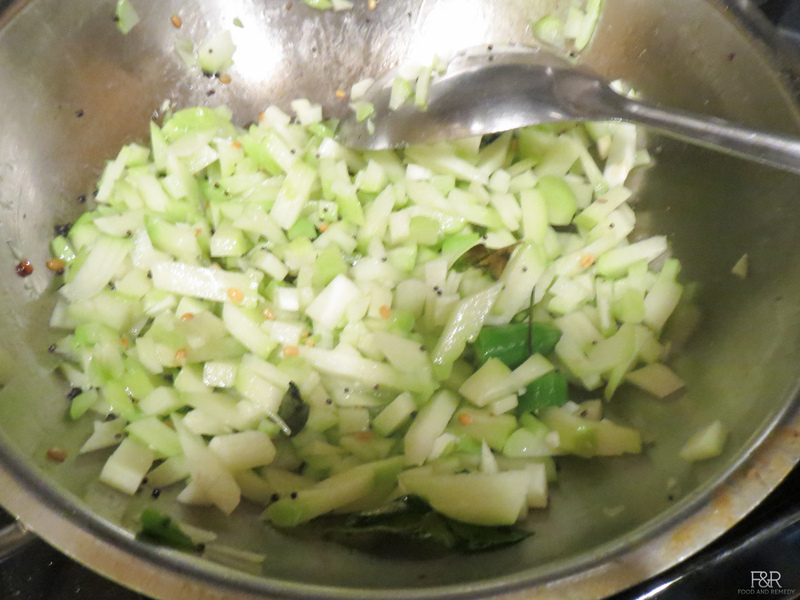 Finally add the chopped cilantro/coriander leaves and coconut. Mix it well and let it be on the stove for few seconds and then turn off. 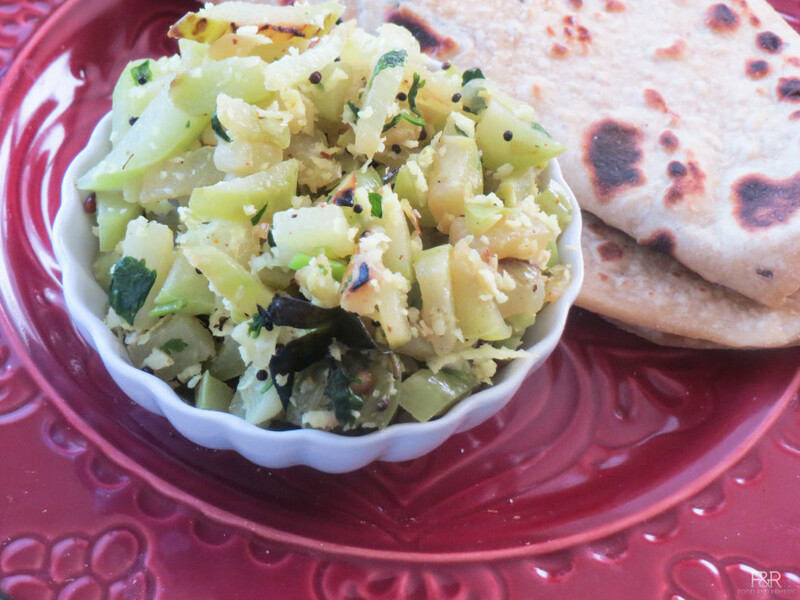 Enjoy this delicious, simple and healthy Palya with chapathi, rice and as a side dish to rasam .